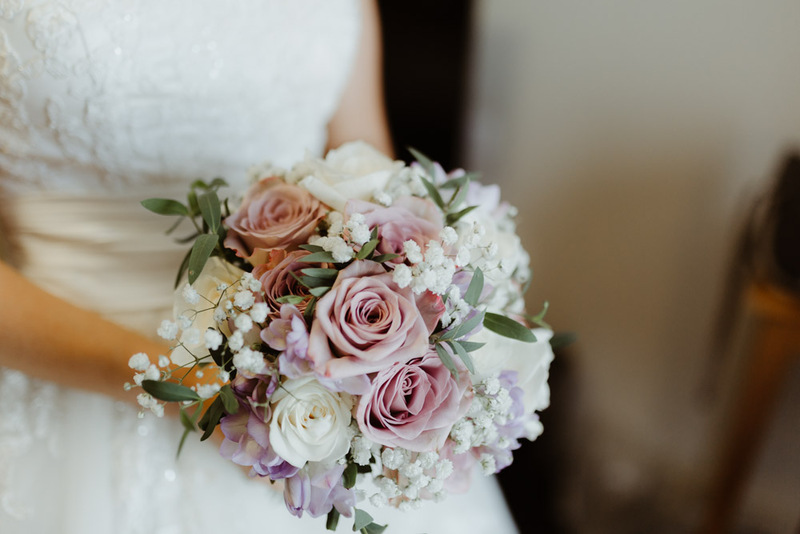 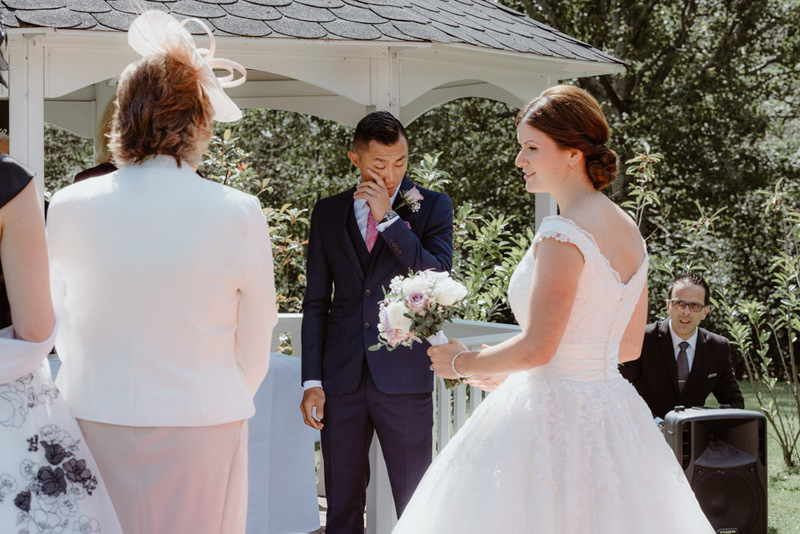 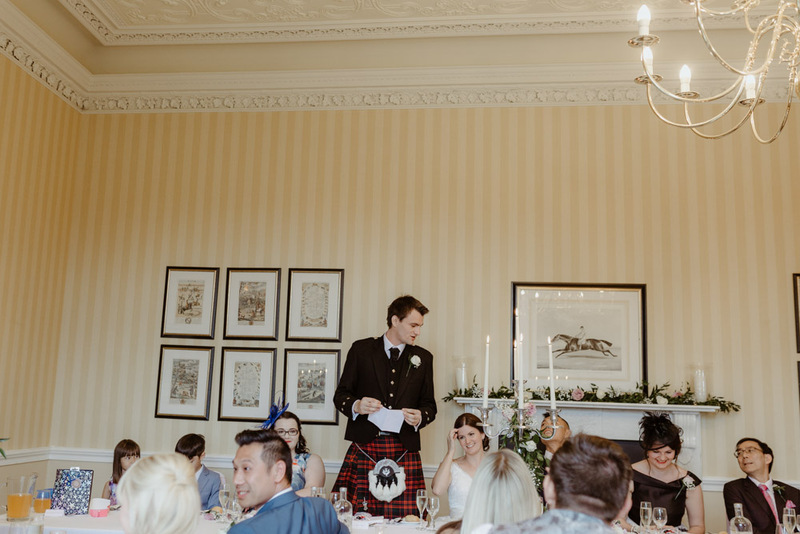 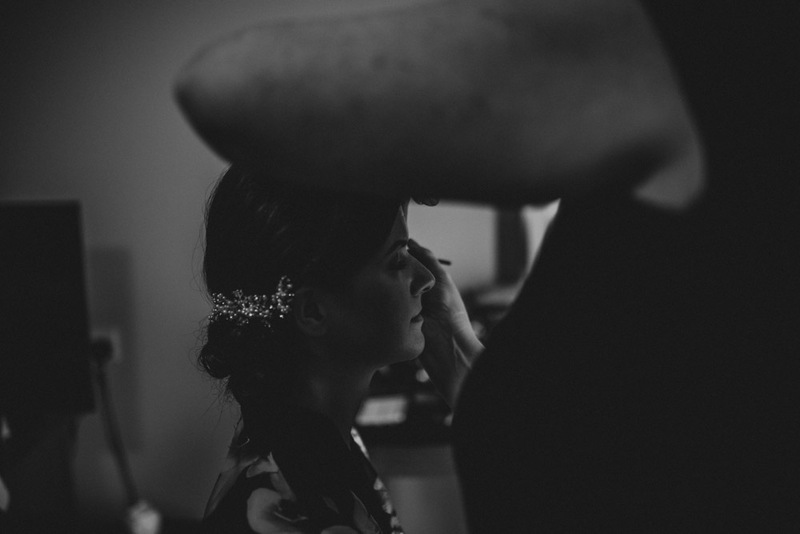 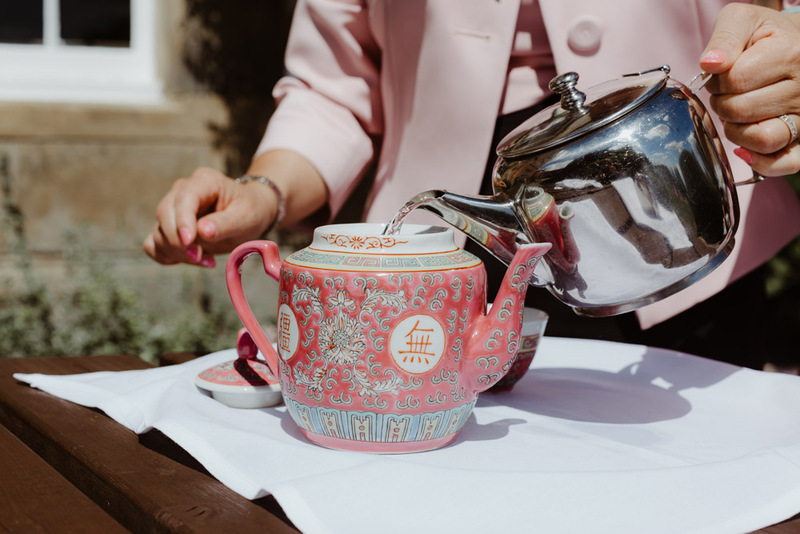 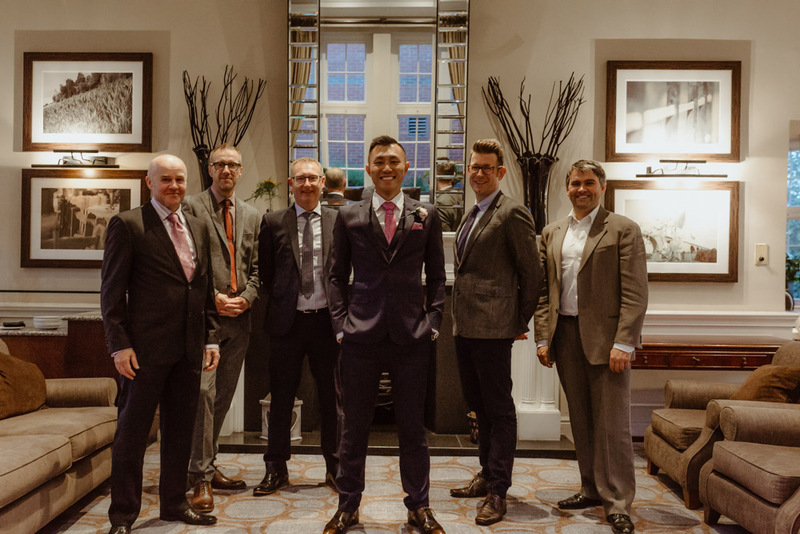 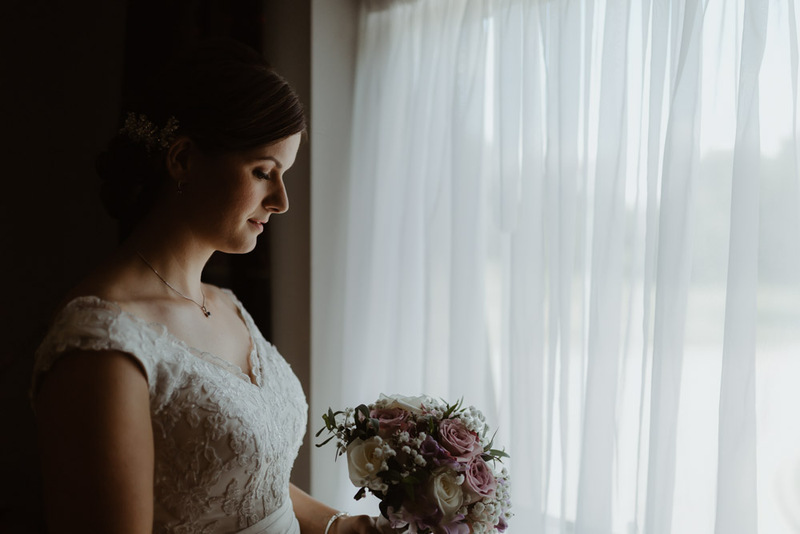 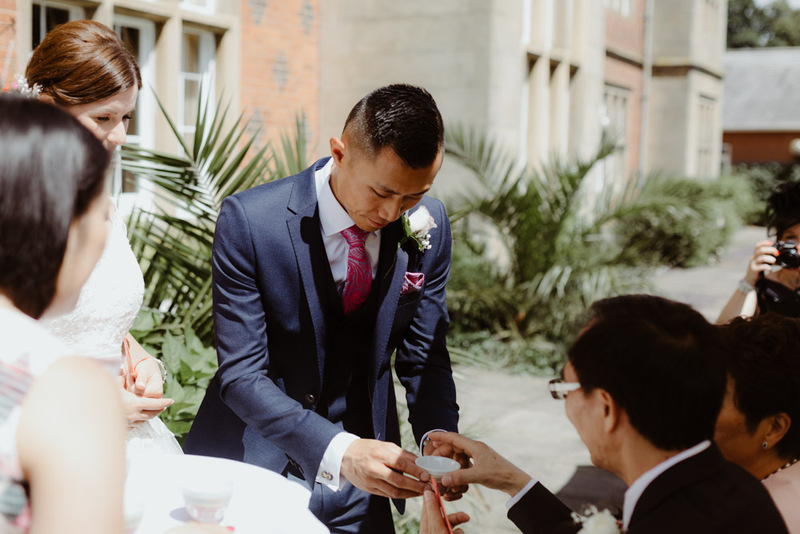 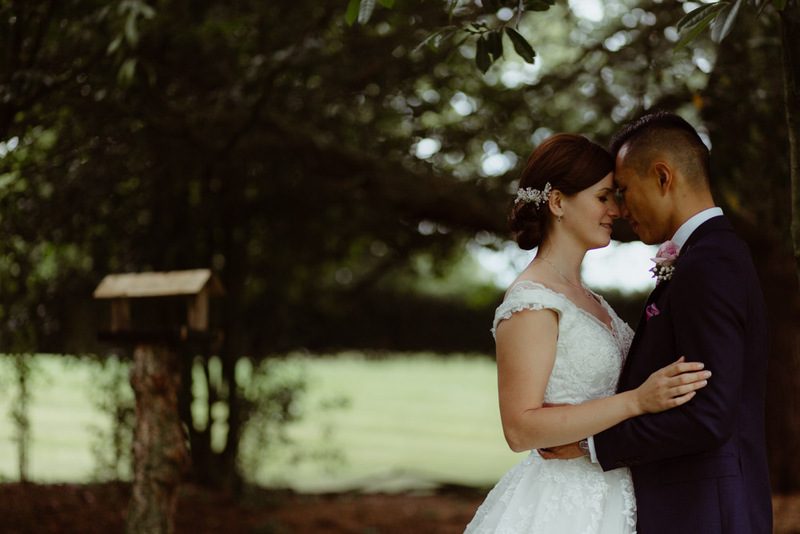 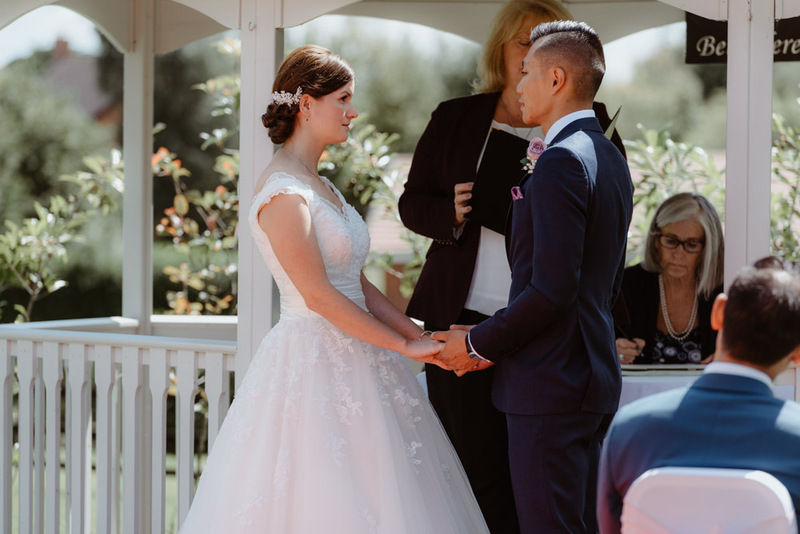 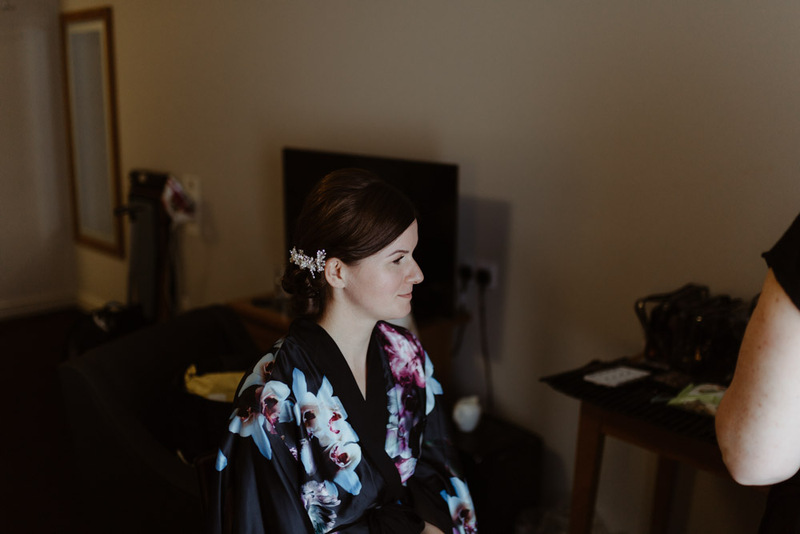 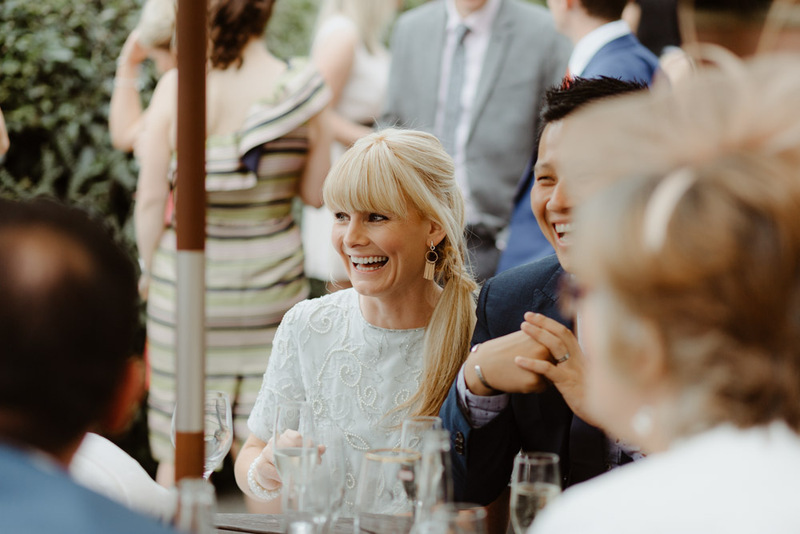 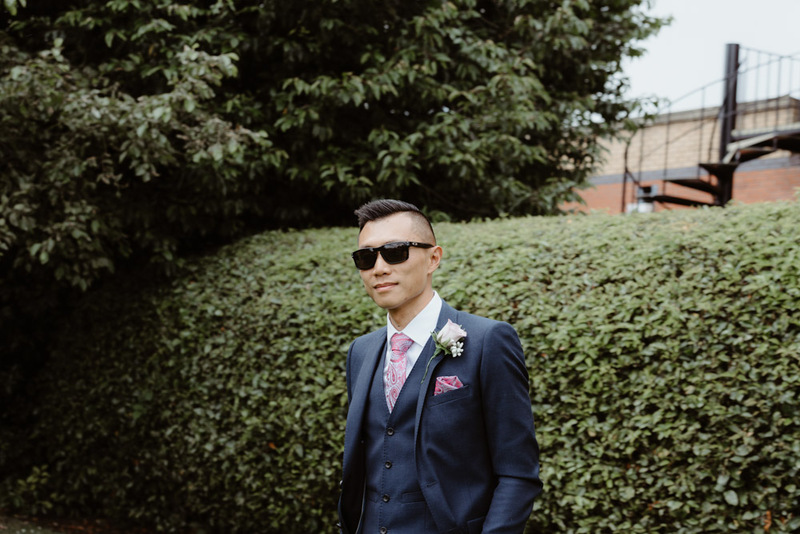 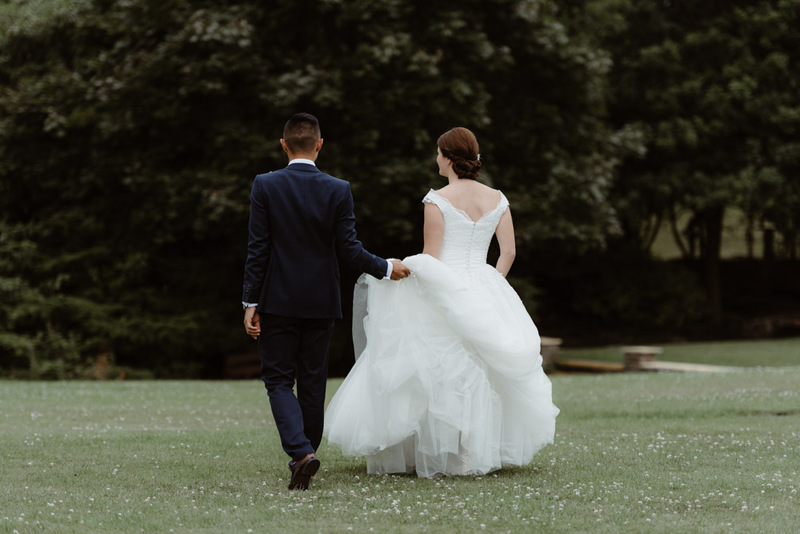 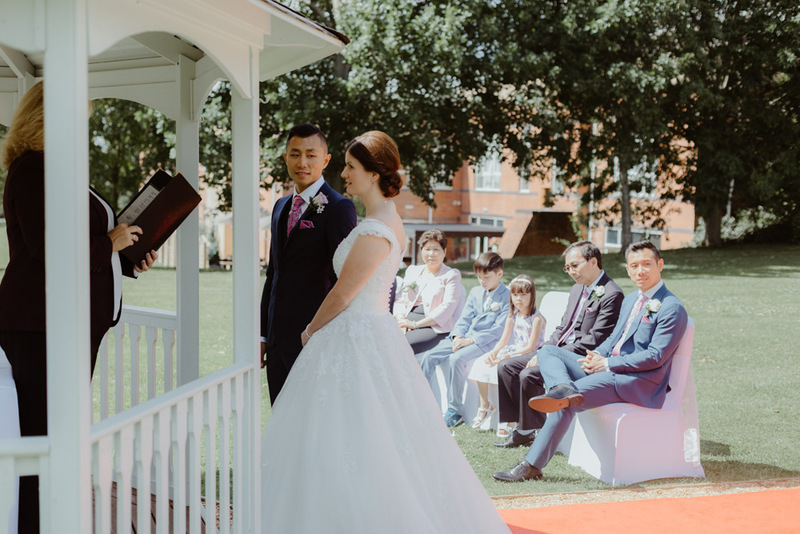 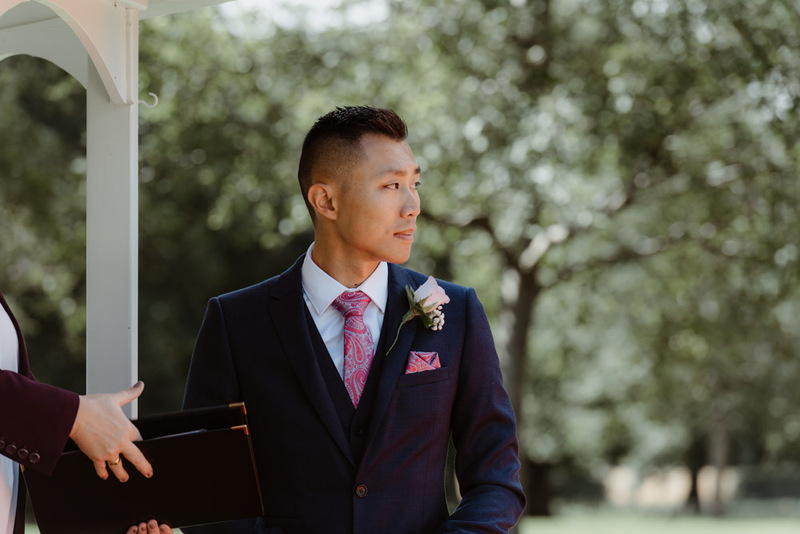 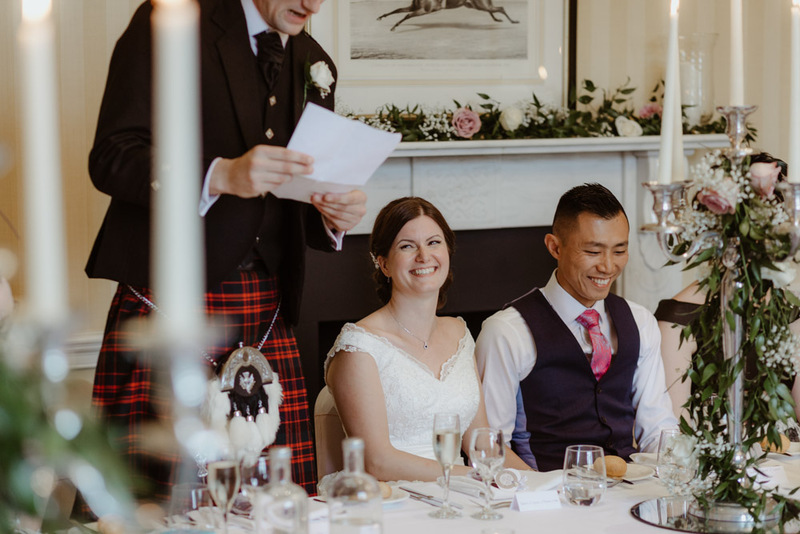 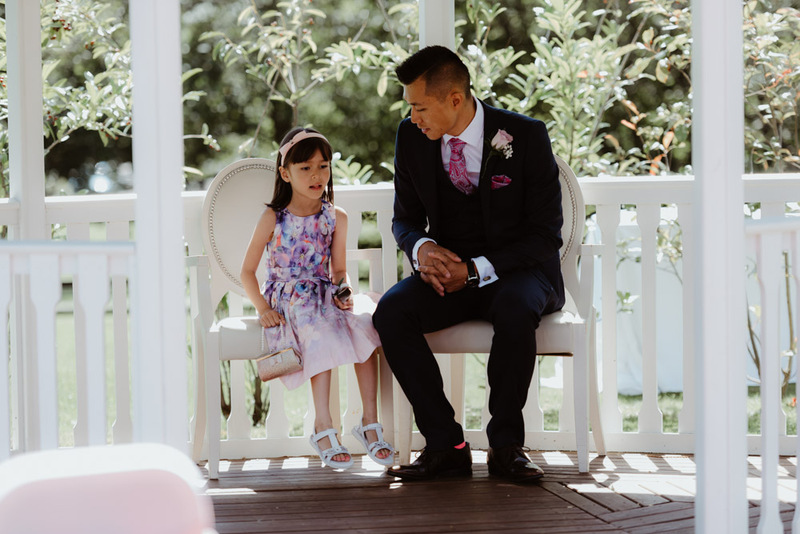 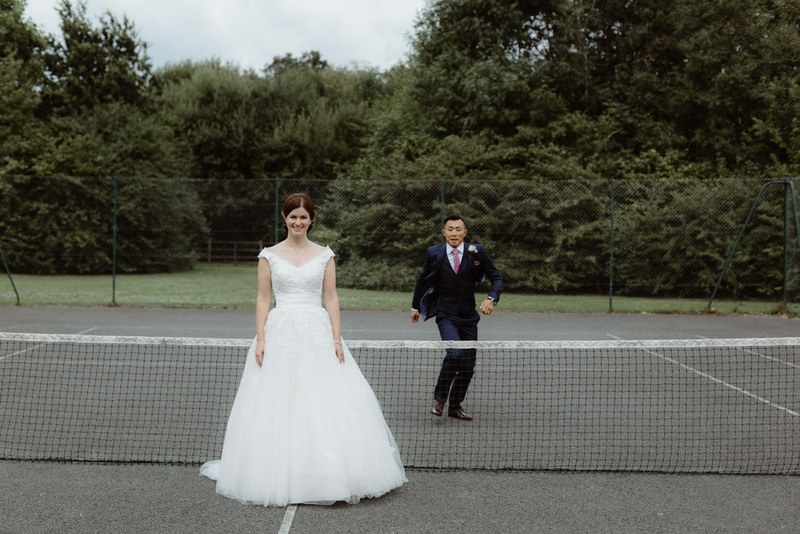 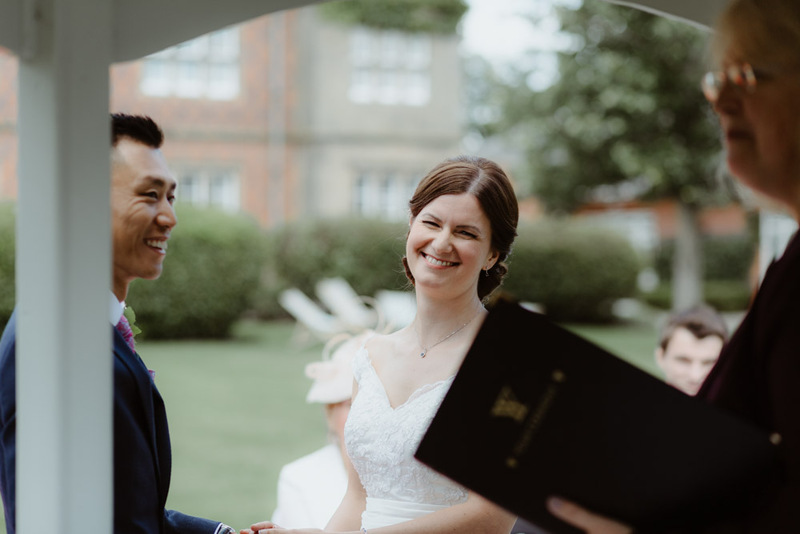 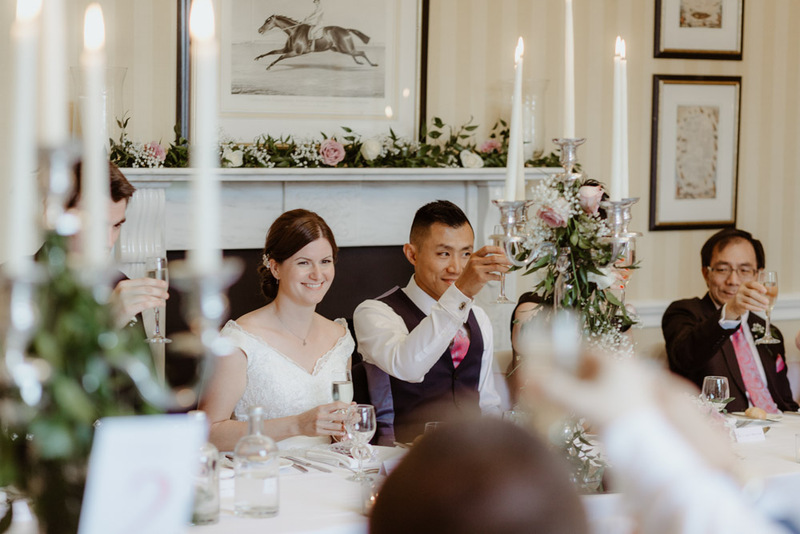 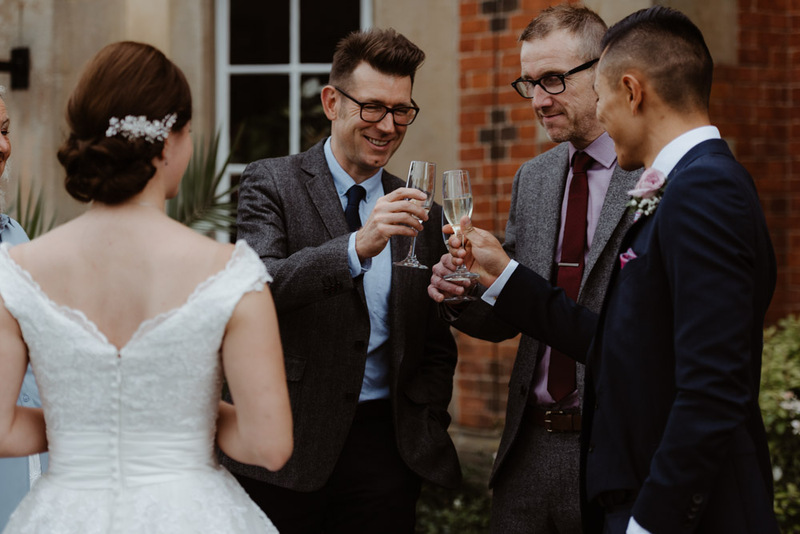 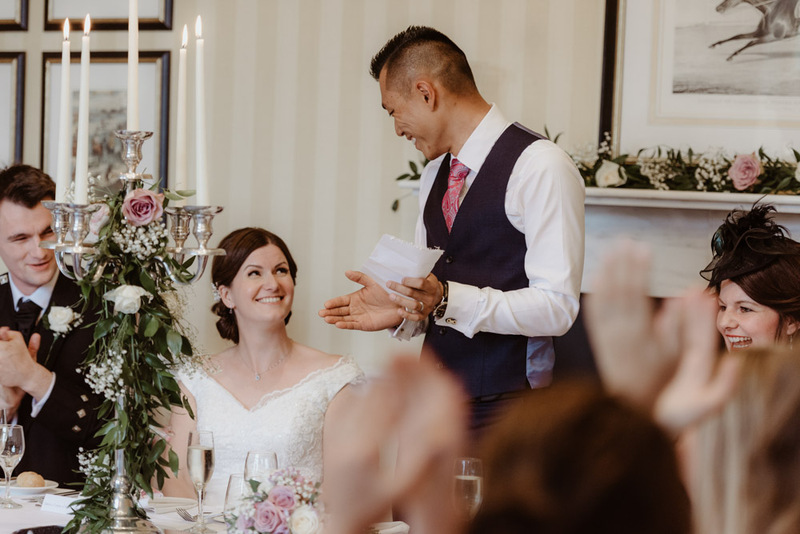 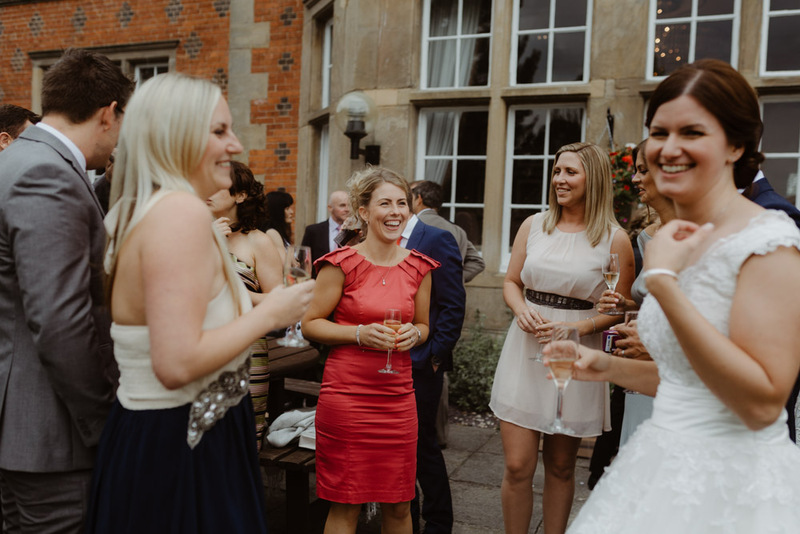 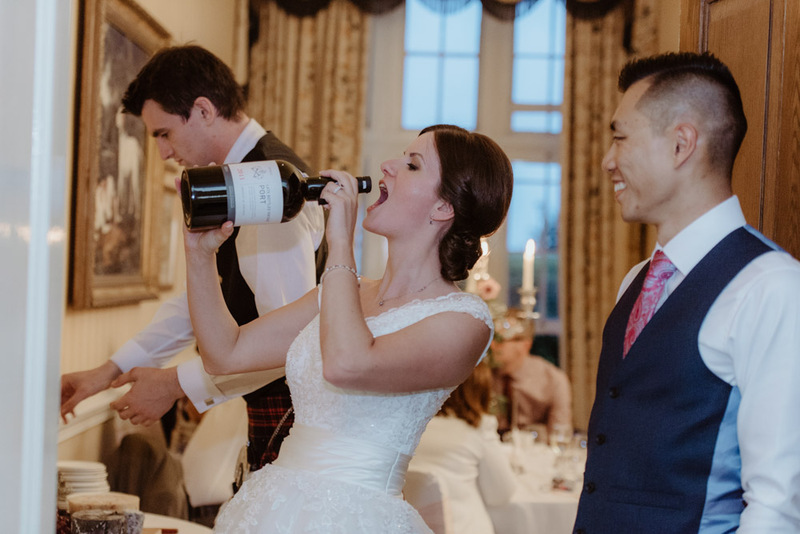 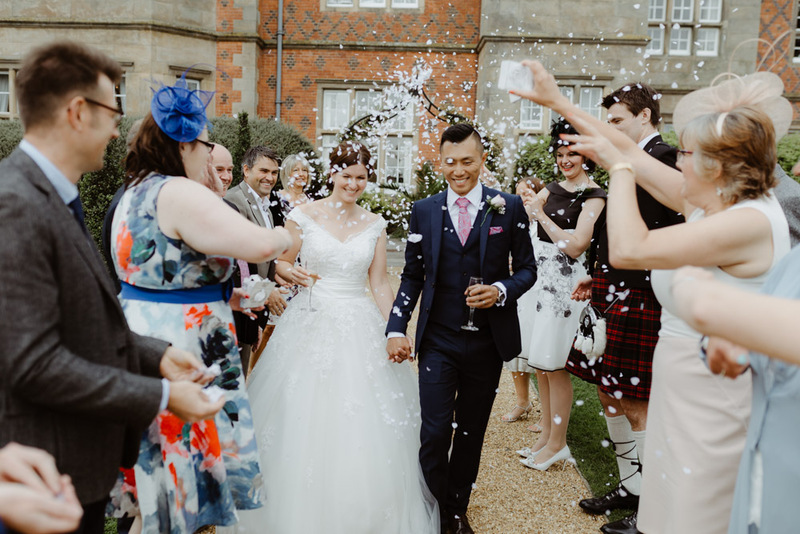 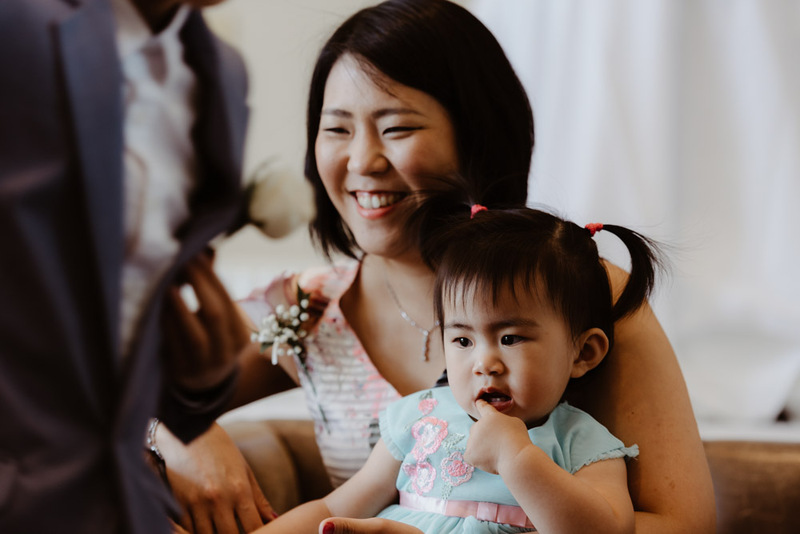 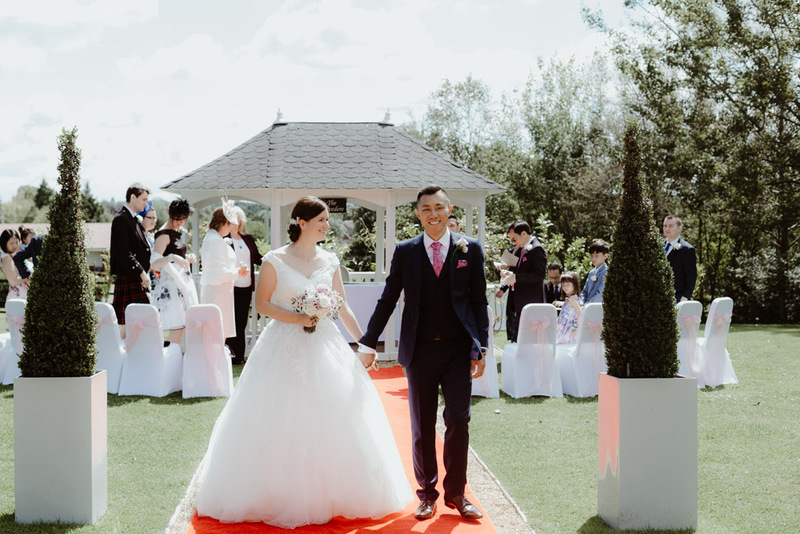 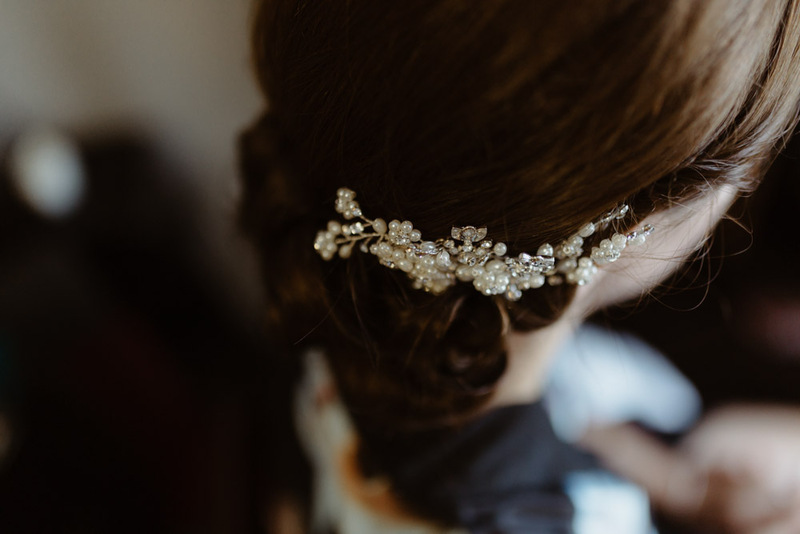 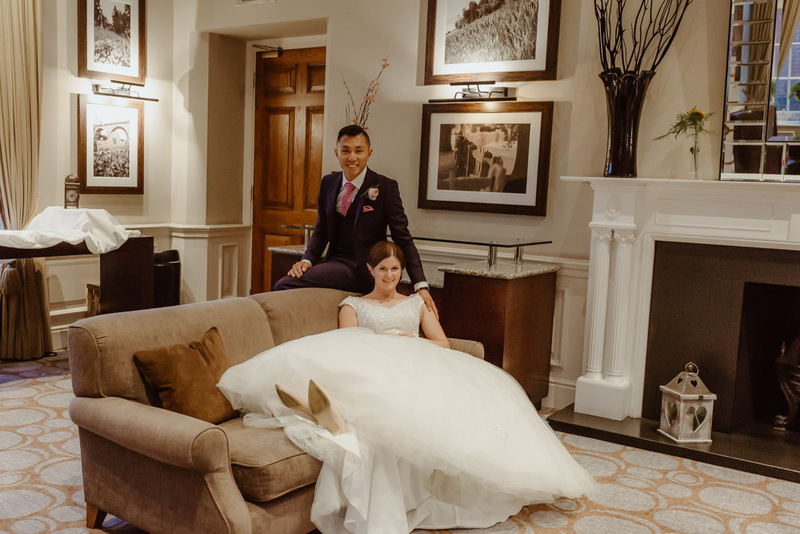 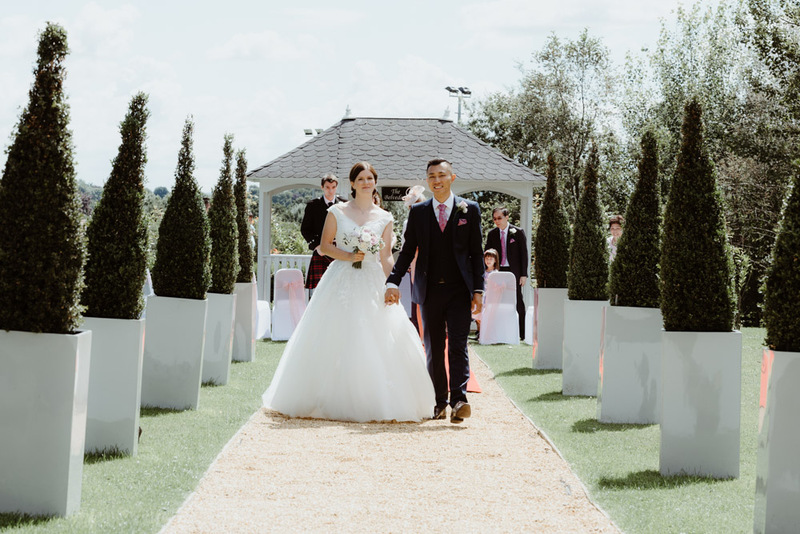 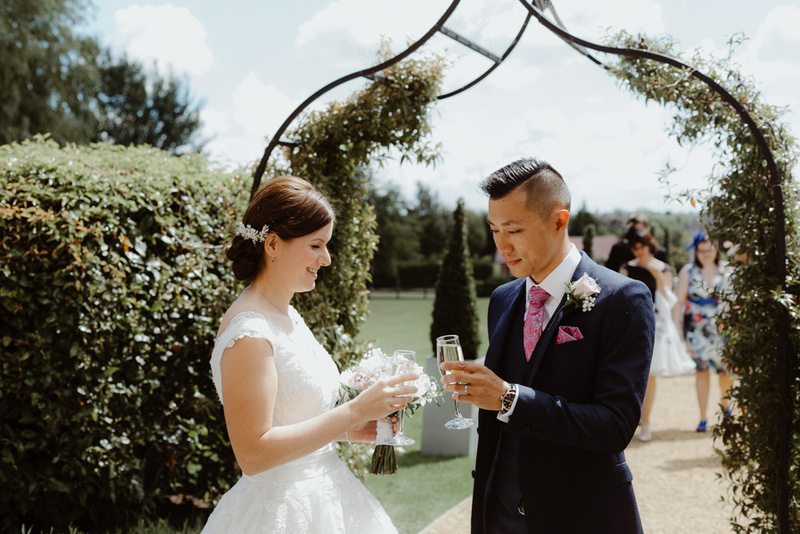 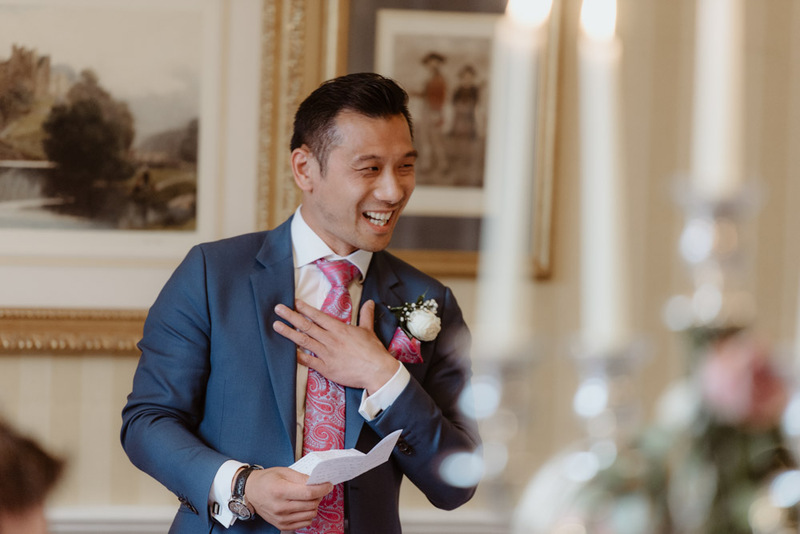 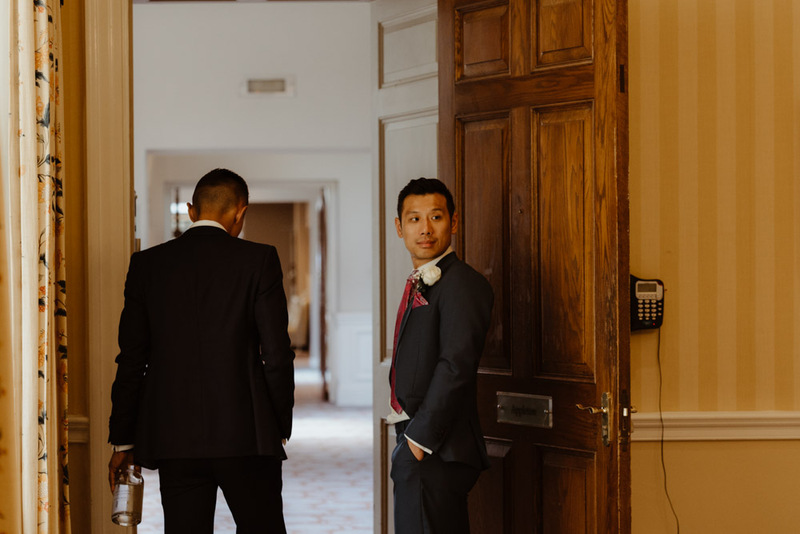 Wai and Jennifer’s nuptials took place at Cranage Hall and it was an intimate family affair. 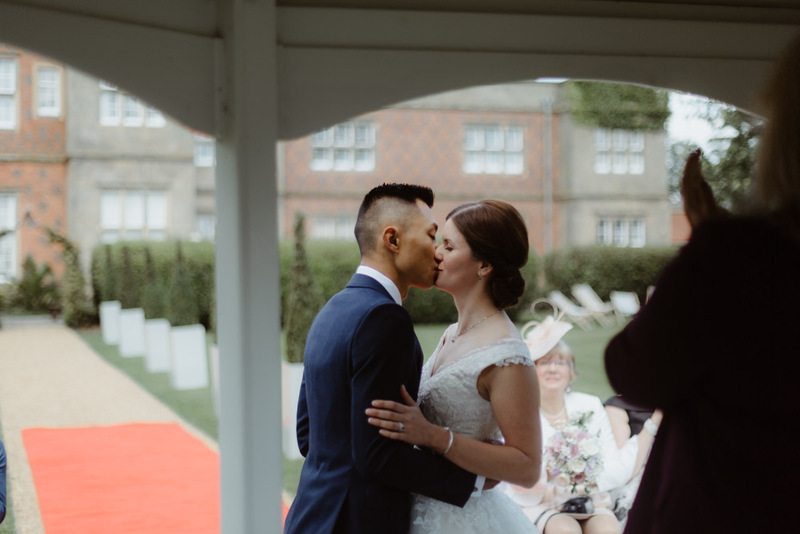 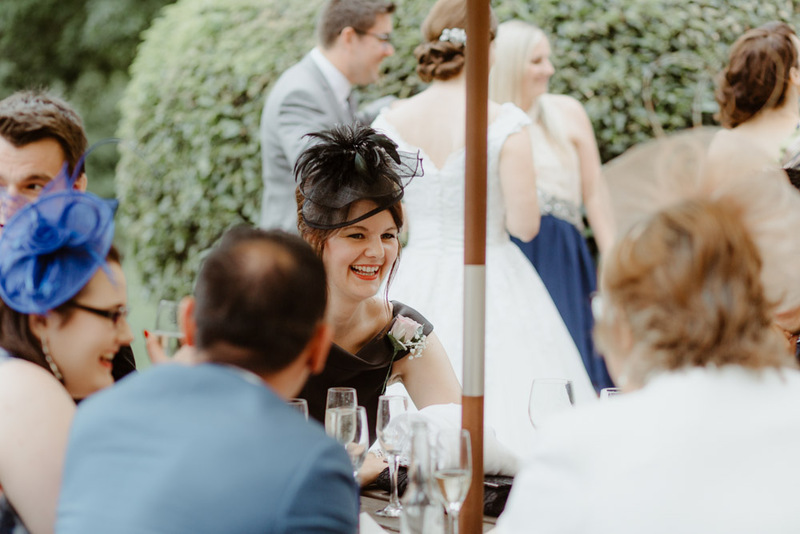 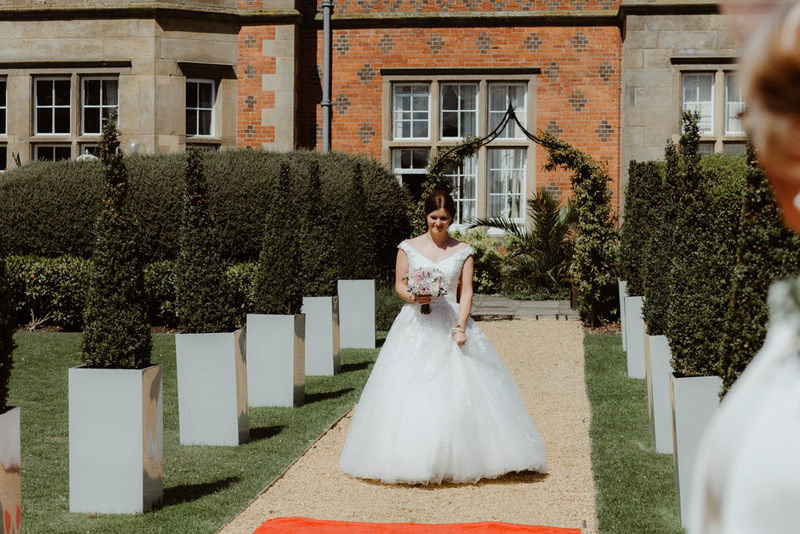 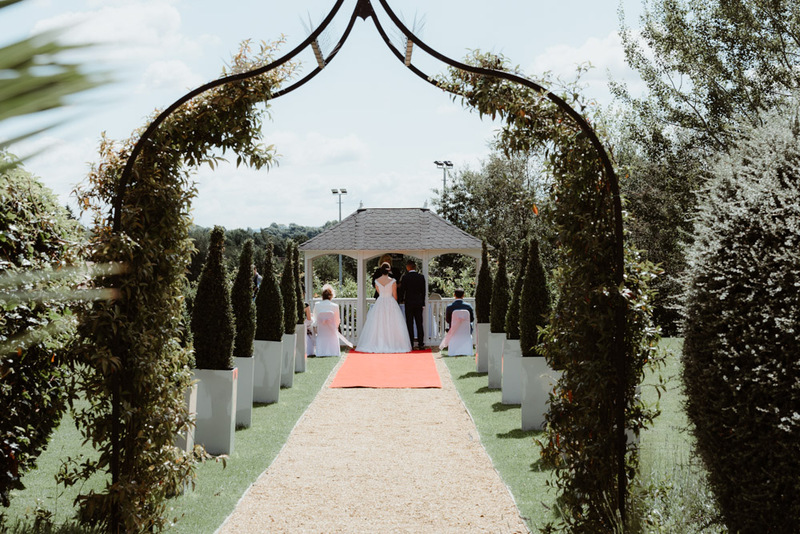 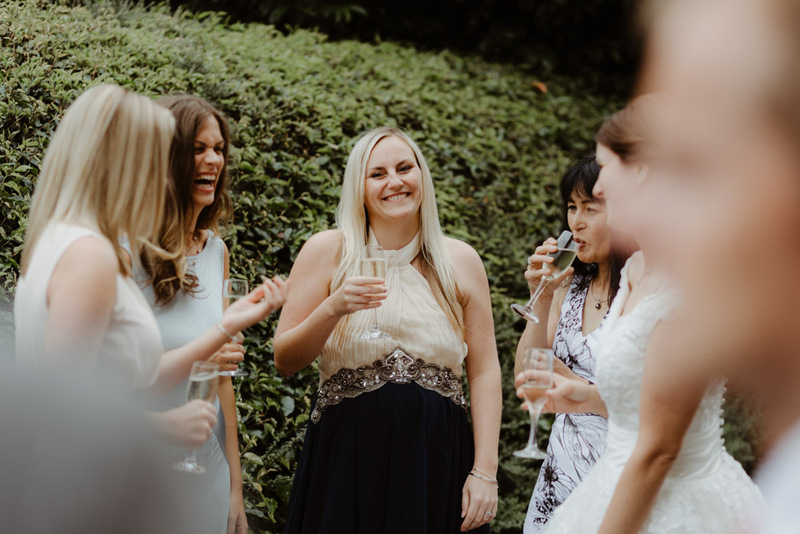 With only 12 daytime guests, we knew that it was more important than ever to keep the relaxed vibe by not having too many “traditional” photos. 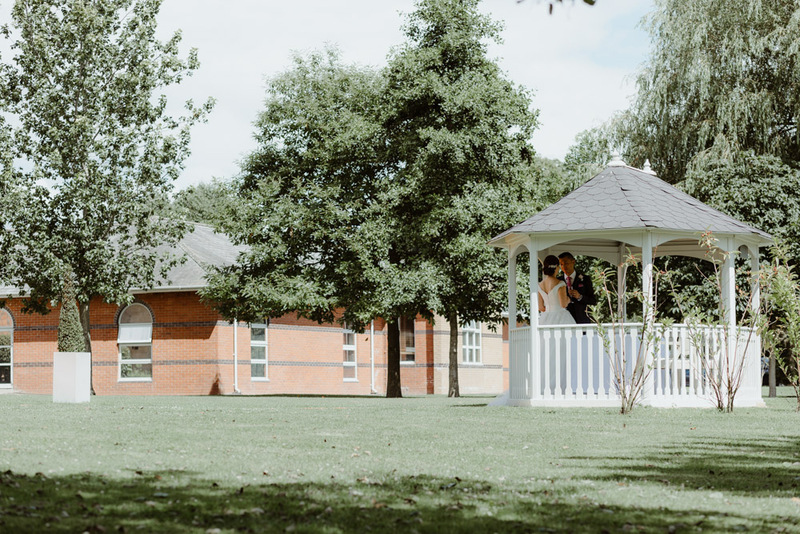 Following a calm morning on both the bride and grooms sides, the couple decided the weather was perfect for them to have the ceremony outside, under the canopy of ‘The Belvedere.’ I could barely hear the vows they whispered to each other, but I could see in their eyes that they meant every word. 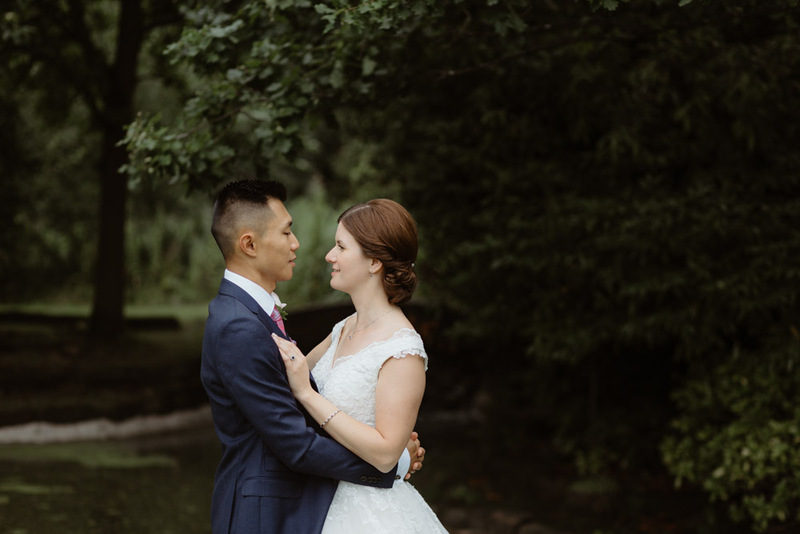 After a drinks reception and afternoon tea, we got a chance to wander off with the pair to do a few portraits. 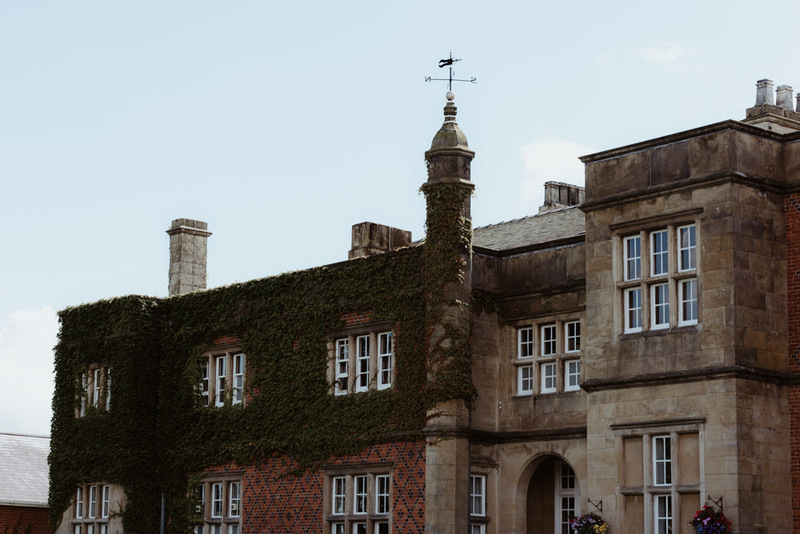 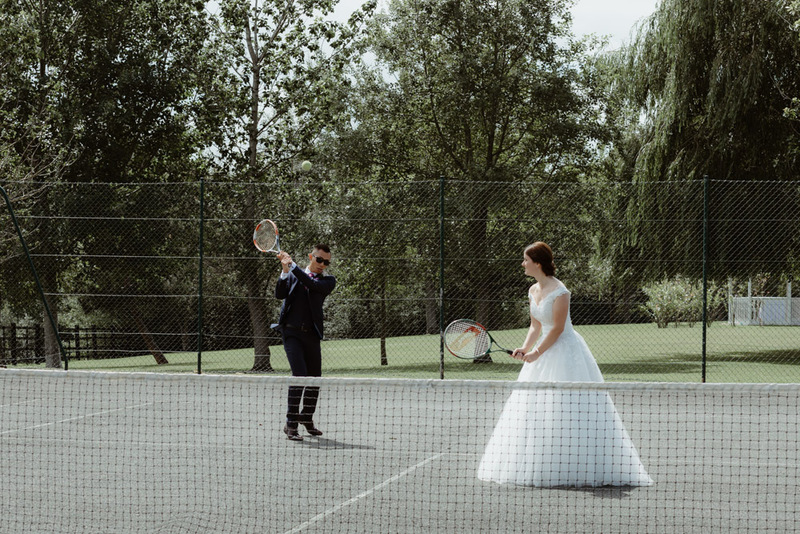 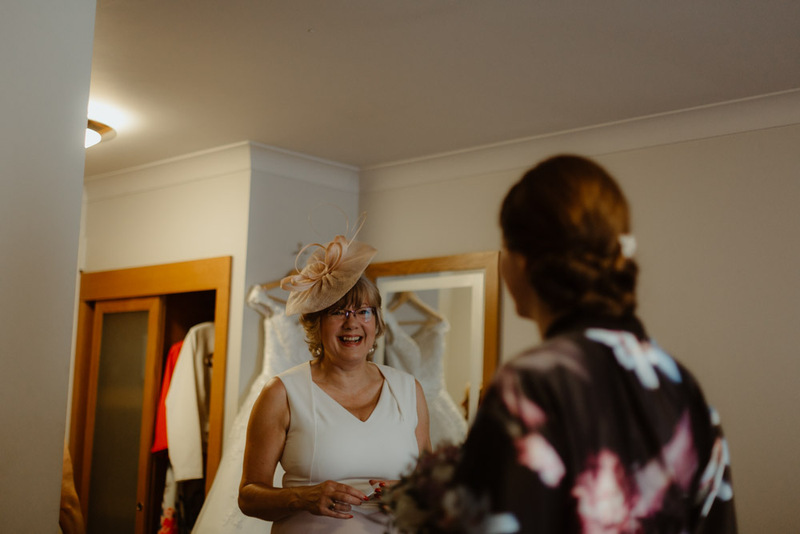 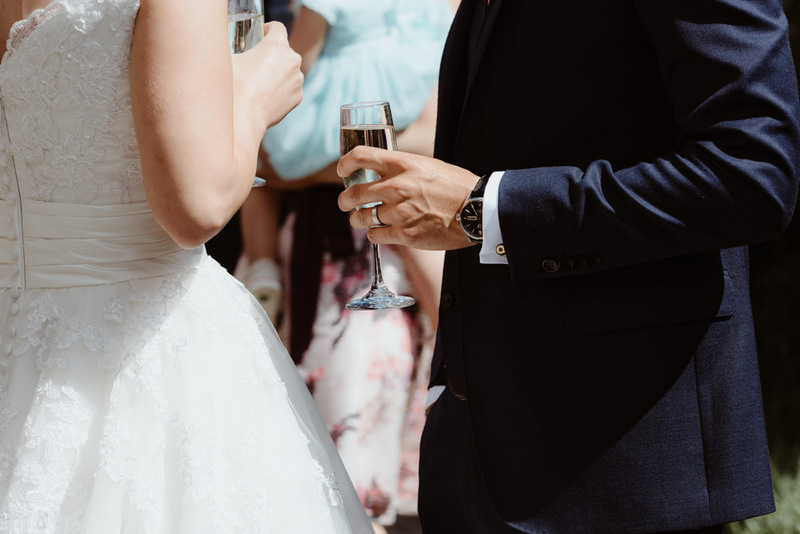 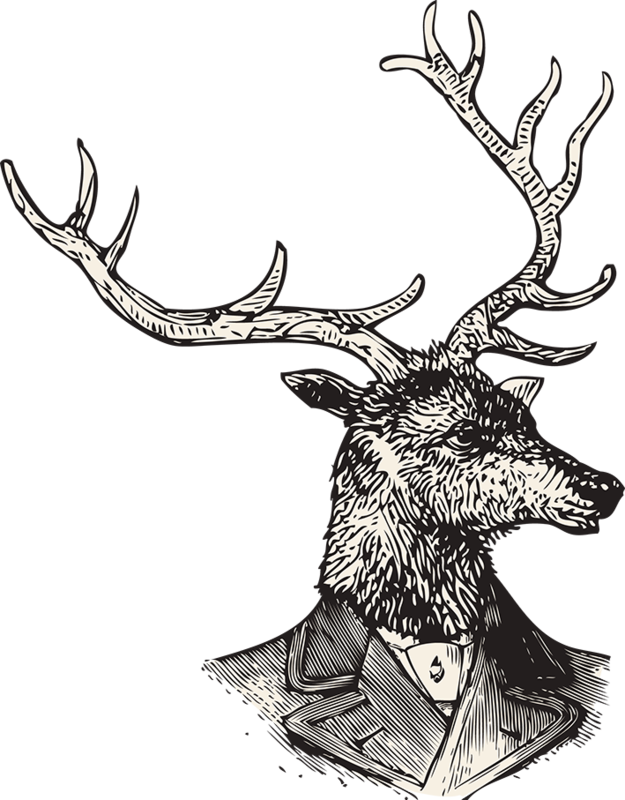 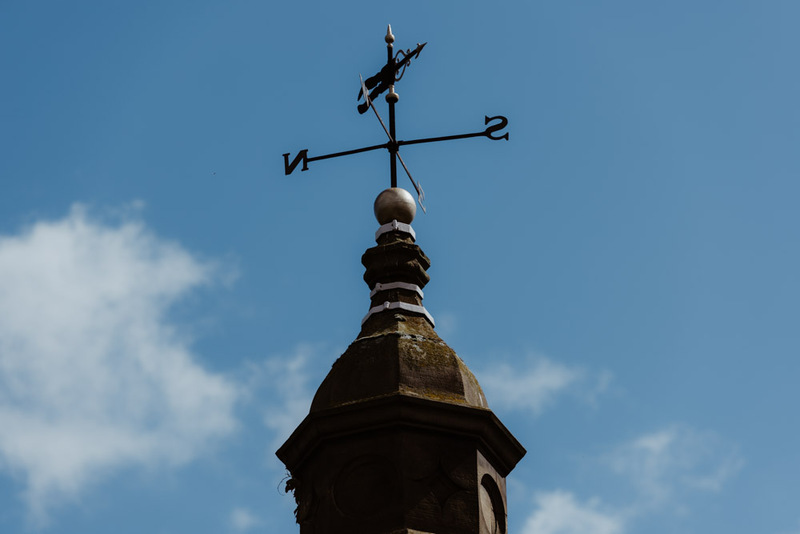 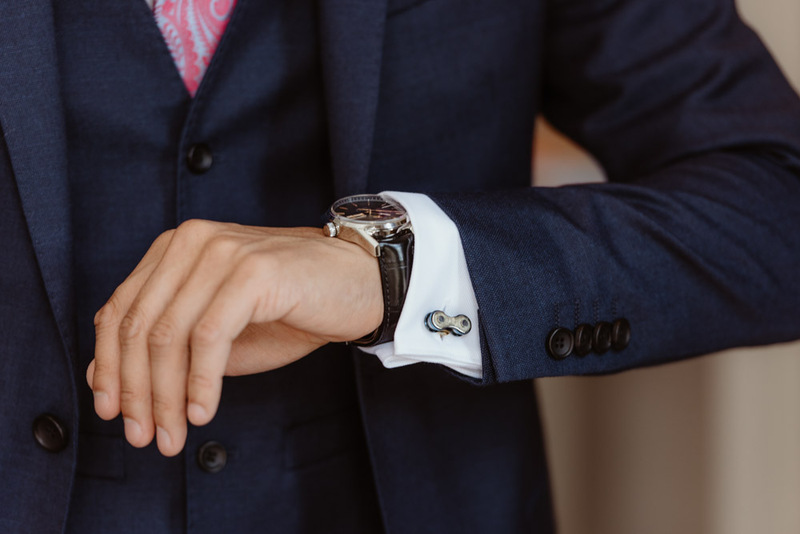 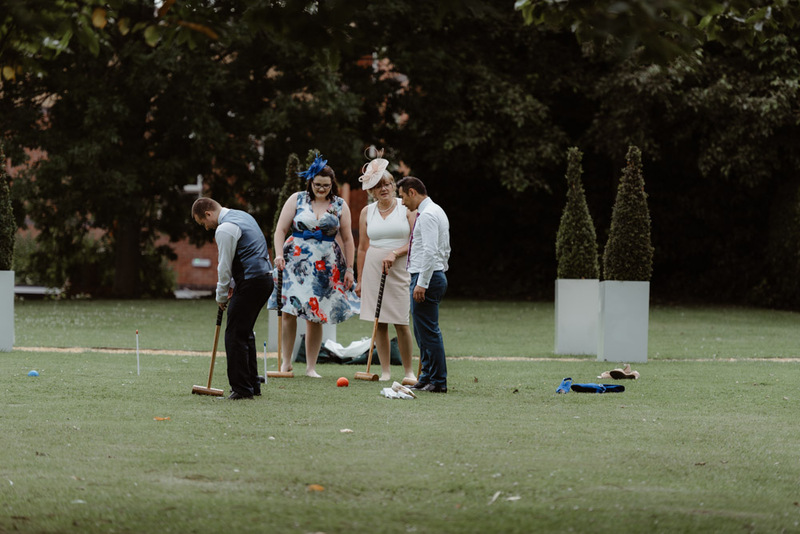 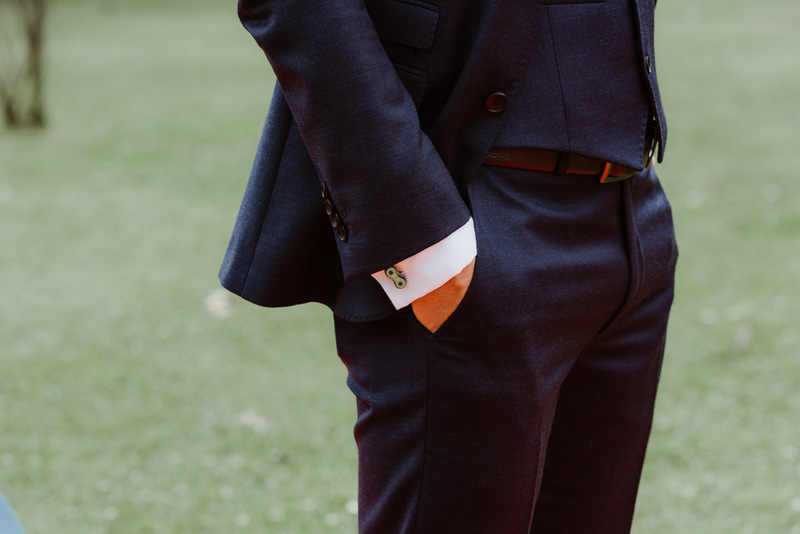 We had already had a snoop around the venue and grounds in the morning so that we knew exactly where the good spots were, and so we wouldn’t spend too much time away from the guests. 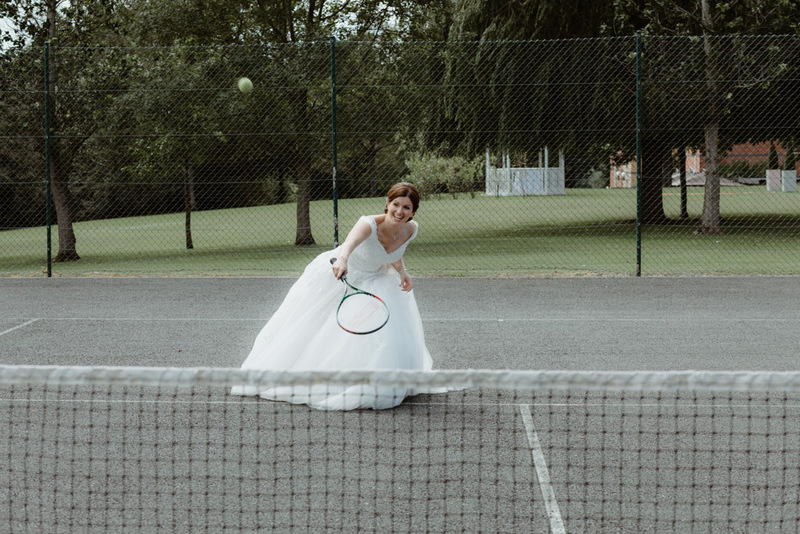 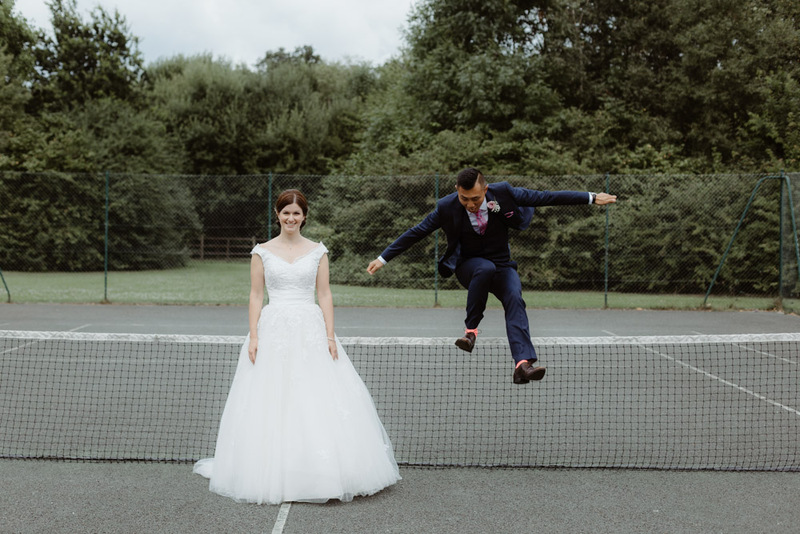 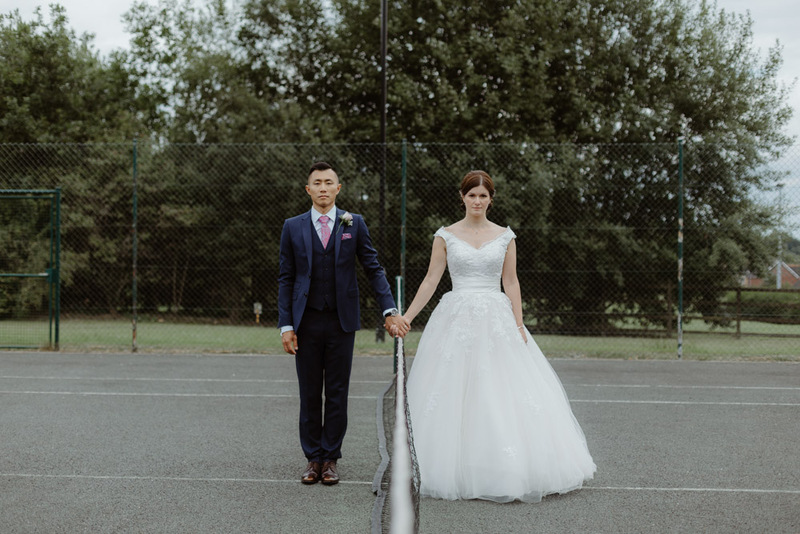 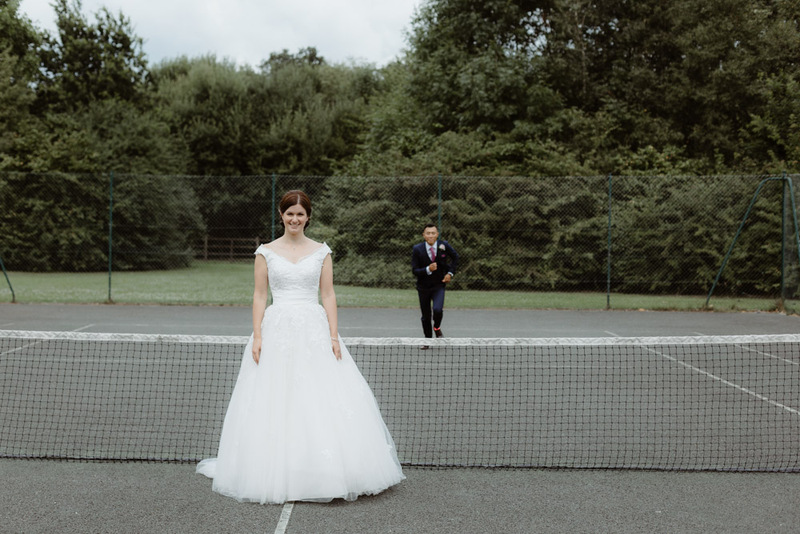 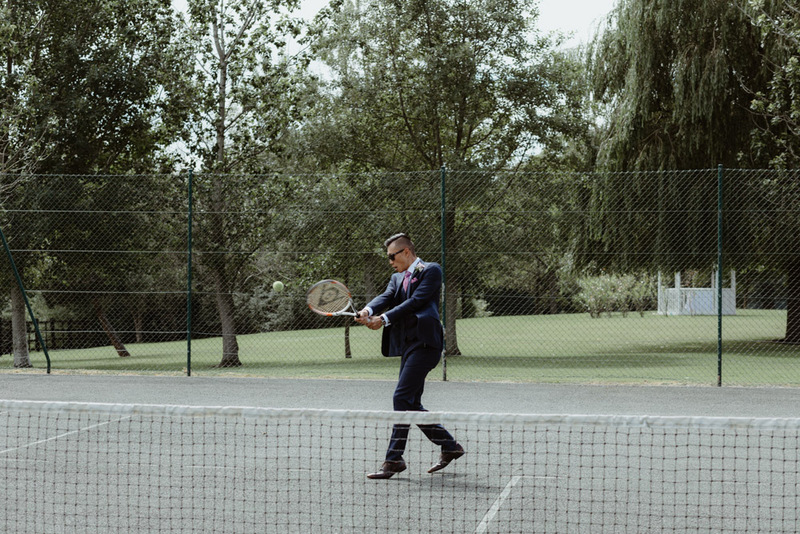 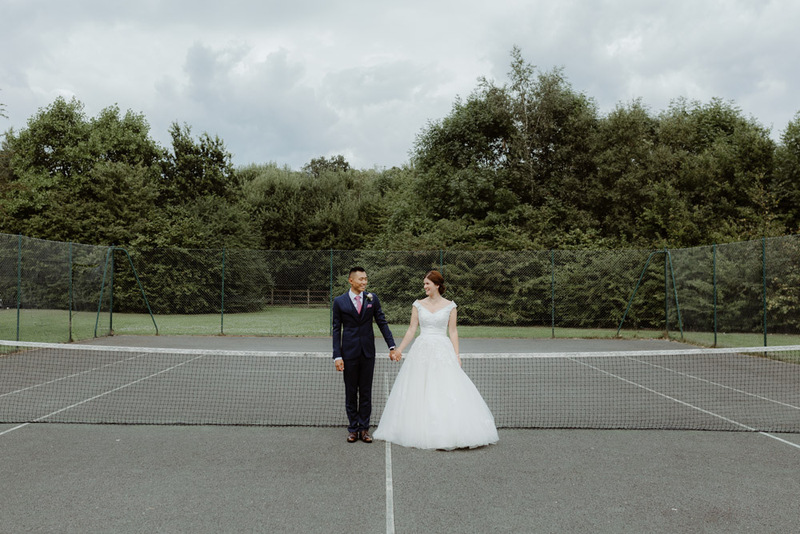 We even managed to get some awesome shots on the nearby tennis court, and even convinced them to lie down on the court for a killer aerial shot! 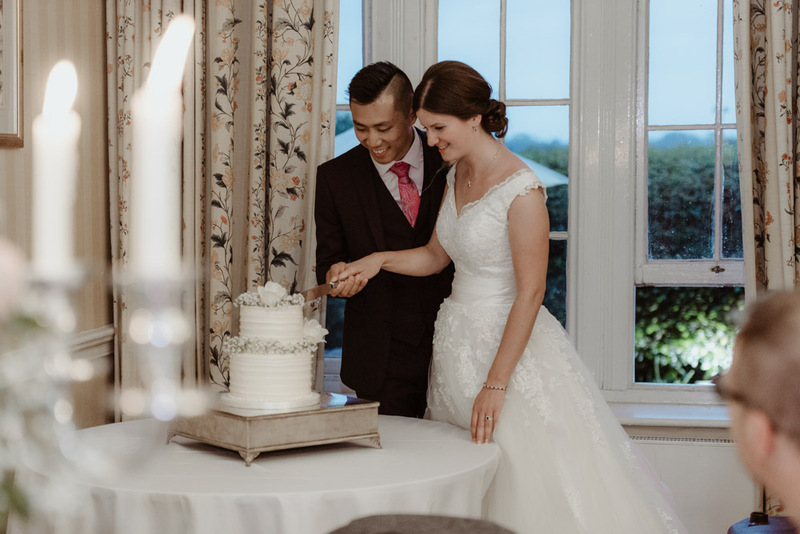 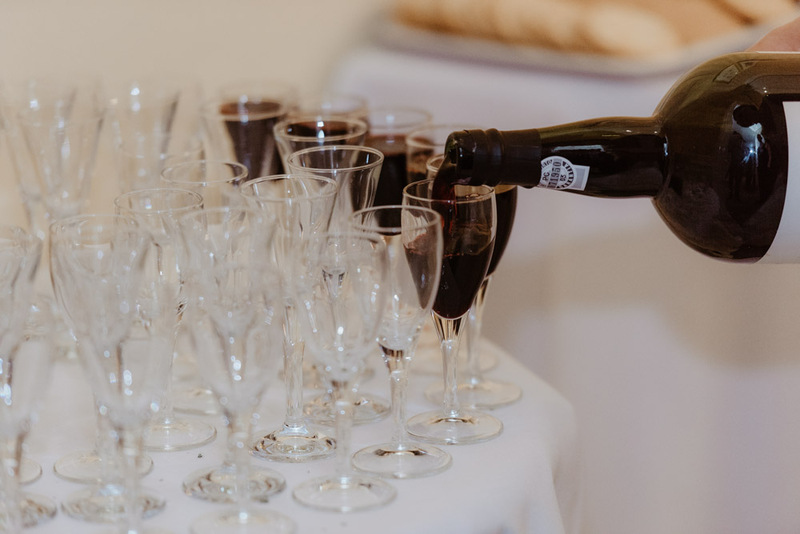 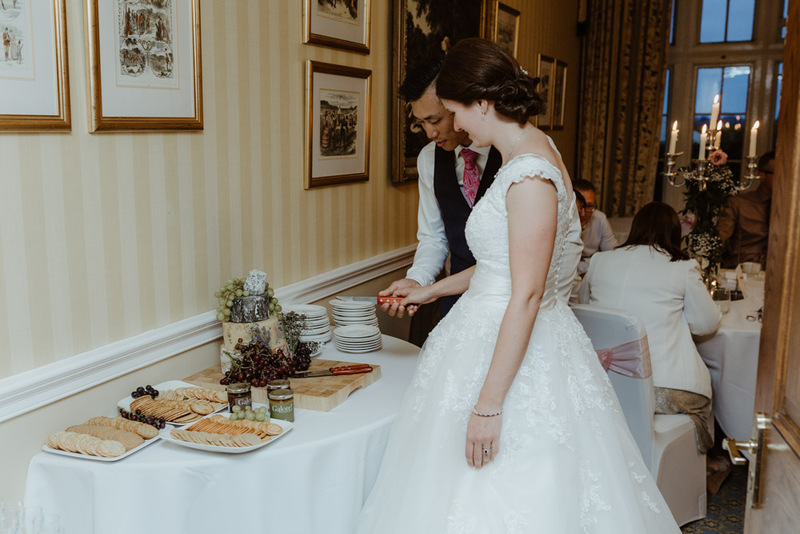 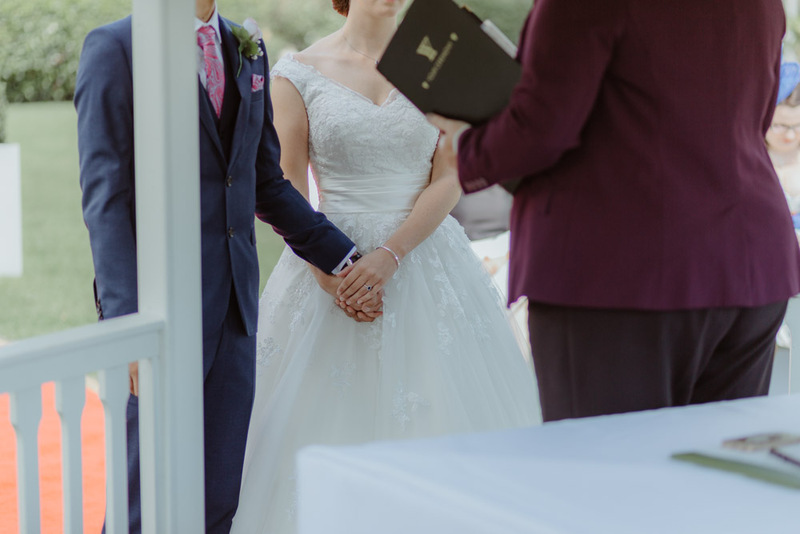 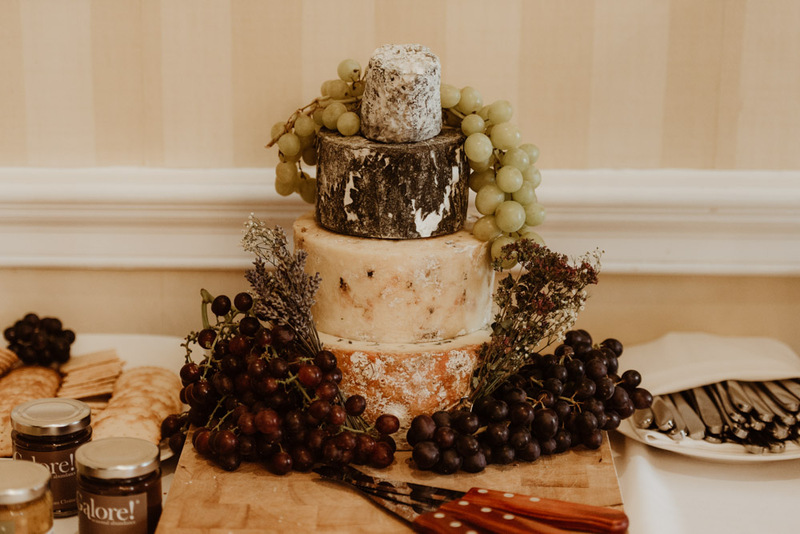 Though there was no ‘first dance’ we enjoyed photographing the evening guests as they mingled, the cake cutting (and the CHEESE cutting – by the way – awesome idea!) 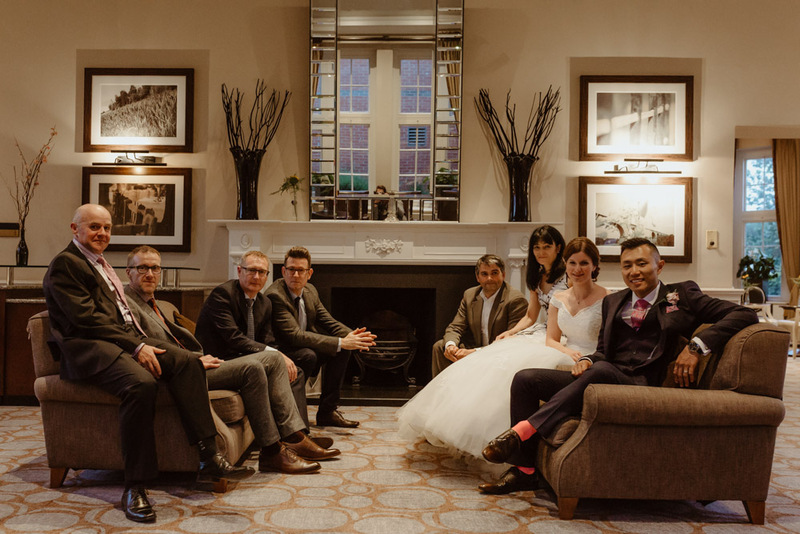 and a few casual group shots. 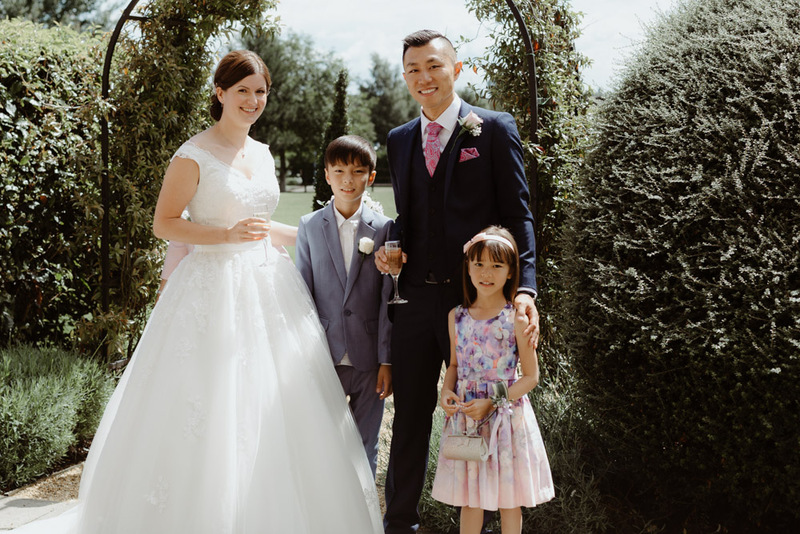 A superb informal and relaxed wedding day; congratulations Mr and Mrs Lee.